Reviving Democracy: a call to Canadians to step up! My interest in politics and democracy hit record levels recently. November was hope inspired with the victory of the Obama movement and then by a revolt in the House of Commons in Canada. The Governor General‘s decision to prorogue sparked a visceral anger unlike any I’ve experienced in a long time. To me it was a technically legitimate assault on the core of our democracy – blatantly ignoring the voice of the people that we voted to represent us – the members of the House. The machinations since then with the Liberals choosing to go with Ignatieff represented the continuation of the assault and a completely missed opportunity. I see the assault now as being a political culture that is interested primarily in partisan power and division with our democracy being but a set of rules to have to operate by. The spirit of democracy is quite the opposite. Imagine for a minute if the Liberals would have instead organized an open leadership vote among all members. What would have happened? They would have announced it – and everyone seeking to have input into the decision (everyone interested in voting for the person to challenge Harper) would have been drawn to join the liberal party simply for that priviledge. And applying a little Obama strategy at the same time by allowing people to financially contribute to the cause (the Liberal Party) would have seen contributions rise dramatically. What better way is there for the disaffected to get involved right now? I can only imagine what that could have done to change the buy-in of the people in this. As we stand now I fully expect the Liberals to balk at the Coalition and return to making this a Liberal vs. Conservative battle. Ignatieff may well be the right leader for that and if they execute well they just might win the next election. And I would vote strategically again to try and make that happen. But that’s exactly the problem. I’m playing political games rather than debating the merits of policies and programs. It’s painfully clear that none of these things will happen from within the system. That’s not surprising. I do think there is hope though – and that’s through a revival of civic engagement enabled by the tools of the web and our world-class creative communities. Already there are initiatives like FairVote Canada and ChangeGov.ca. Those are just a couple of many (if you know one pop it in the comments). We have some of the world’s leading experts in online community building, activism, creative content, journalism, and all other things web and civic. It’s time to step up – we need them – we need everyone – we need you. 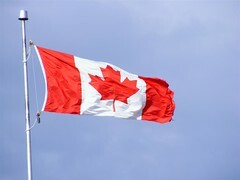 I am finding my way to do my part… and for the love of Canada, I hope you do to. Posted on December 9, 2008 Categories Events, ThoughtsTags Canada, ChangeGovCA, CommonCraft, democracy, FairVote Canda, Politics9 Comments on Reviving Democracy: a call to Canadians to step up!